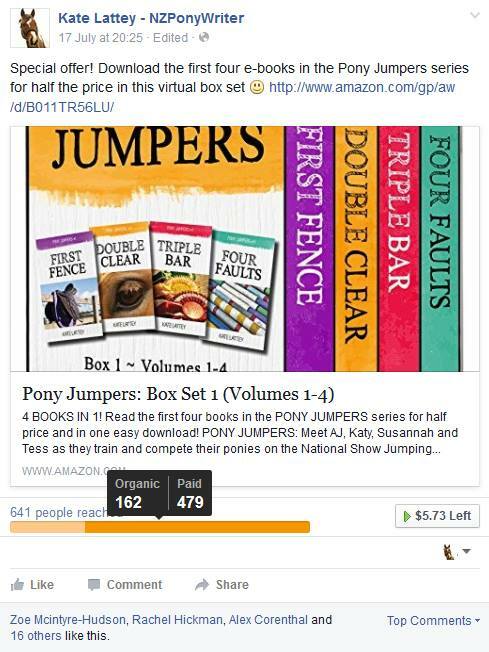 Ever since I started the Pony Jumpers series, I’ve been quite keen on the idea of packaging up the books into groups of four and seeing how well they sell in a ‘box set’. Partly because I think the graphic looks cool, partly because it’s a good bargain that will hopefully get readers into the series, and partly because it’s a pretty effective marketing tool. After all, if you want to grab someone’s attention, bright colours and a bargain deal are two of the most sure-fire ways to succeed! I don’t spend a lot of money on advertising – actually, to be honest, I basically spend nothing on advertising. Facebook and word of mouth have been my go-to advertising methods up until now, but I’m starting to branch out a little. On a Facebook business page, you can pay a few extra dollars to “Boost” a post, which not only ensures that more of your followers will see it, but that people who don’t follow you but who fall into the location/age/interests that you specify will also be advertised at. Here’s the ad that I posted, and what Facebook is telling me about it (this after the first couple of days). Finding the right balance of what to post and how often to post it on Facebook is a challenge… I don’t want to post so much that I annoy people, or be constantly pushing my own books on people, but I also want to have a presence and for my followers to have a good idea of who I am and what I’m about (within and outside of my books). Hopefully I’m getting the balance right – if you do follow me on Facebook (or Instagram) please send your feedback! And if you’re not following me on Facebook yet, what are you waiting for? 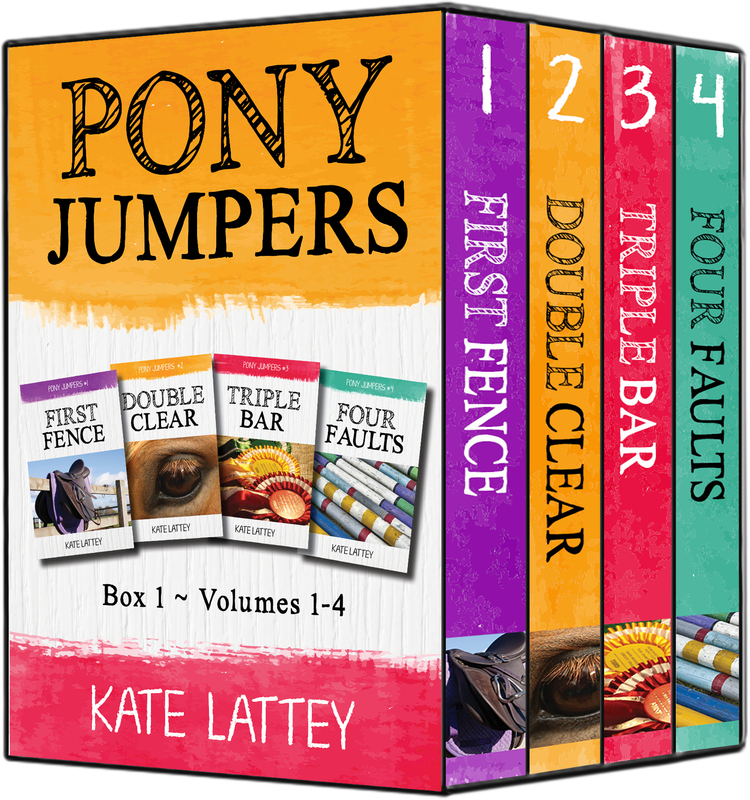 Follow Kate Lattey – NZPonyWriter on Facebook and @kate_lattey on Instagram, and join my mailing list!